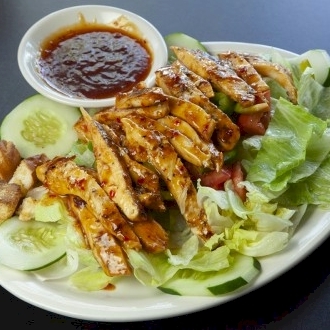 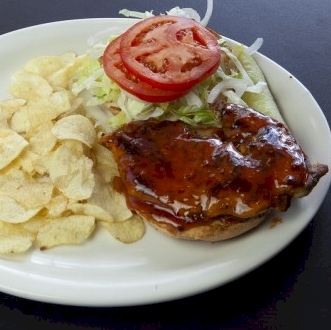 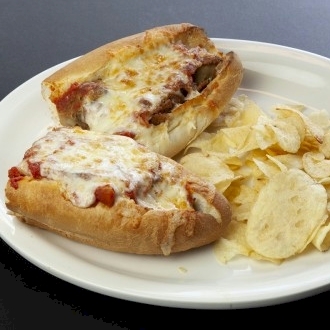 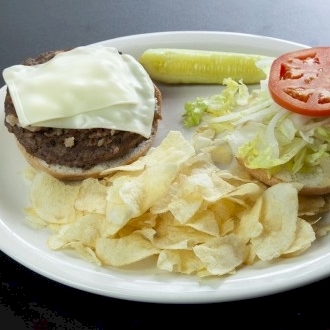 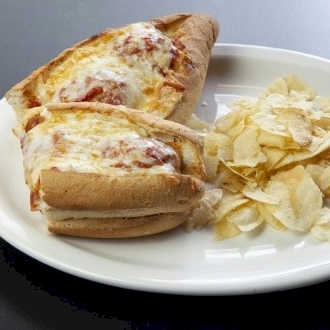 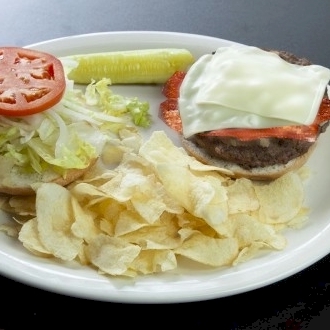 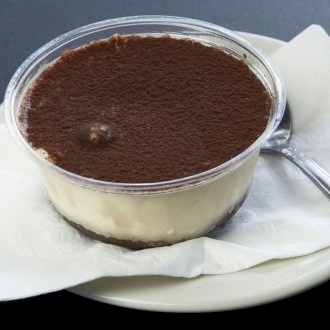 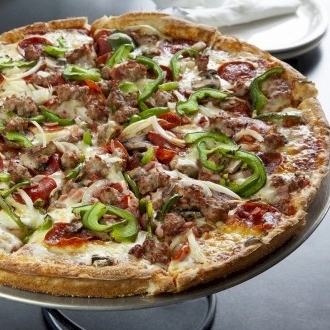 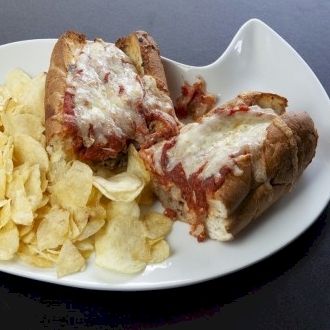 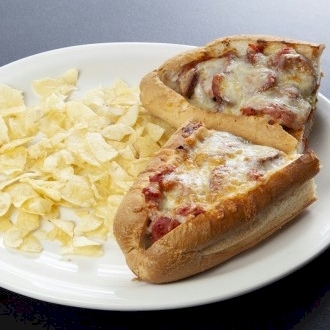 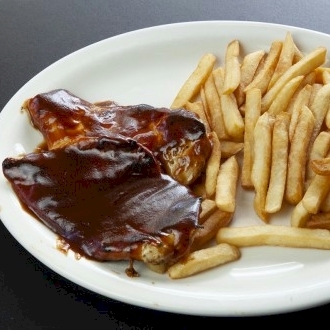 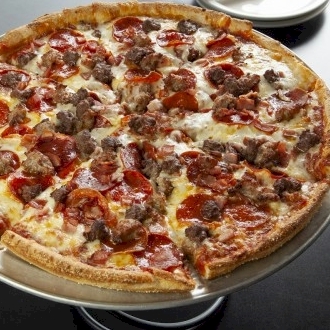 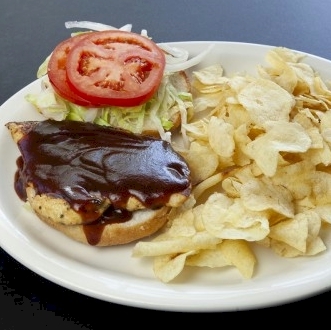 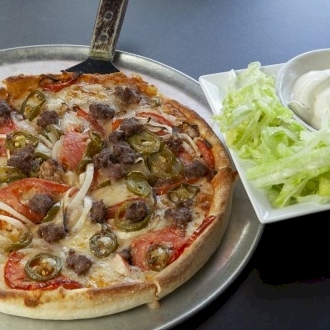 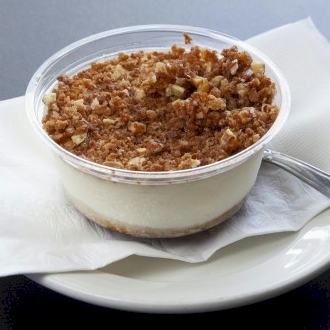 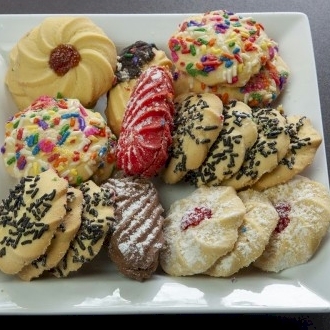 Leoni's specializes in what some say is the best pizza in North Naples, but their large menu also includes Italian entrées, pastas, hot and cold subs, burgers, Philly cheese steaks, chicken wings, salads and more. 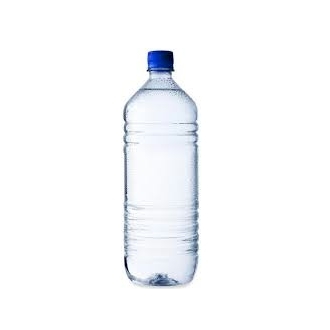 23236. 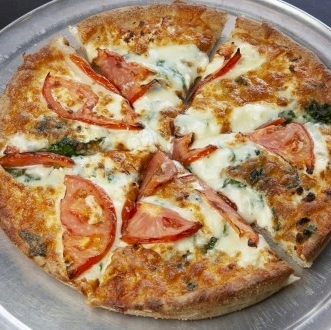 Cheese Pizza - Small 10"
23237. 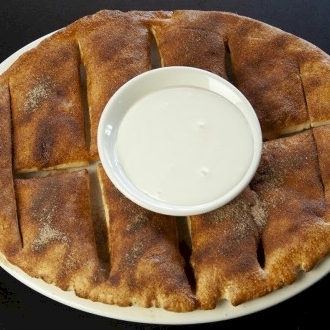 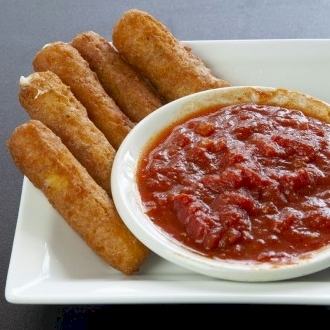 Cheese Pizza - Large 14"
Breaded Mozzarella cheese stix delicately fried and served with our homemade marinara sauce on the side. 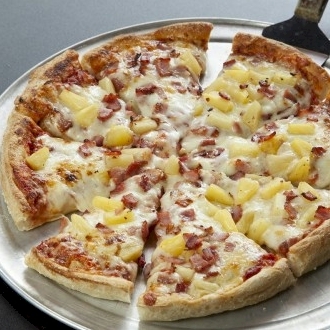 23238. 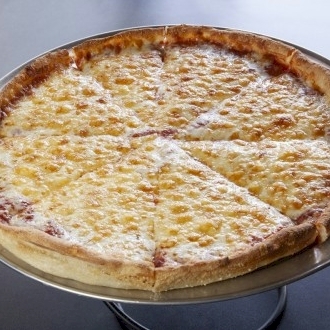 Cheese Pizza - Extra Large 16"
Thin spaghetti topped with our homemade marinara sauce and served with garlic bread on the side. 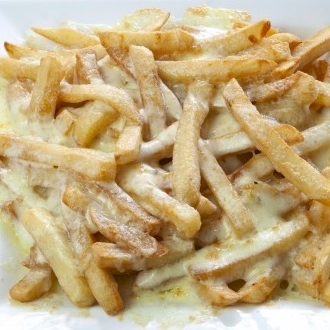 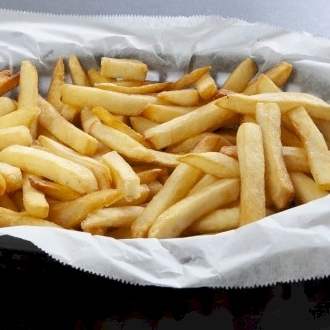 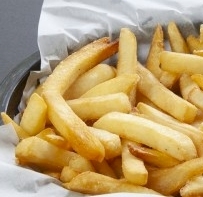 Straight cut fries smothered in cheese and baked till crispy and golden. 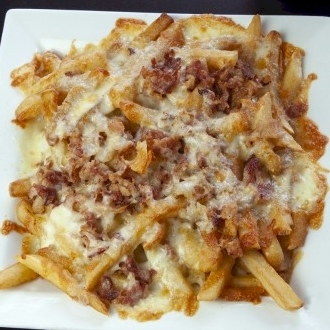 Straight cut fries topped with crumbled bacon, smothered in cheese and baked until crispy and golden. 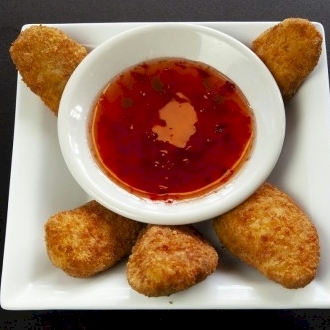 Lightly breaded jalapeno peppers stuffed with cream cheese and fried just till the cheese melts, served with Popper Jams Sauce. 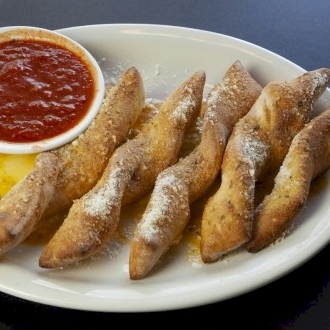 Fresh baked bread stix smothered in garlic sauce and parmesan cheese with a side of fresh marinara sauce. 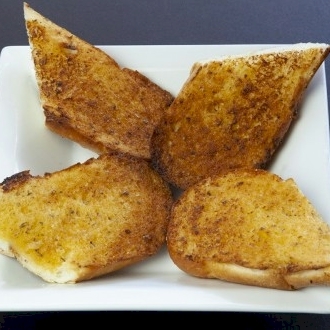 Fresh Bread spread with garlic butter and baked till golden brown. 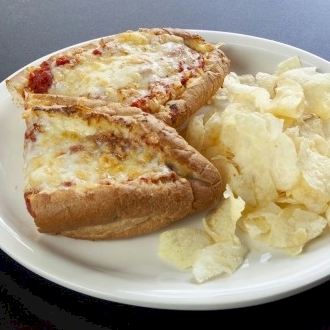 Fresh bread spread with garlic butter topped with mozzarella cheese and baked till golden brown. 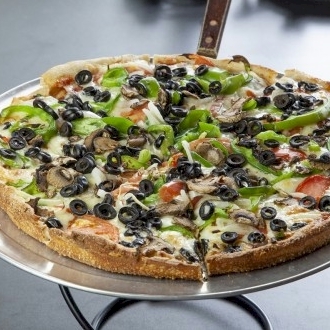 Choose Small 10", Large 14", or Extra Large 16"
All fresh ingredients, spinach, cheese, tomato, black olives, green peppers, mushrooms & onions. 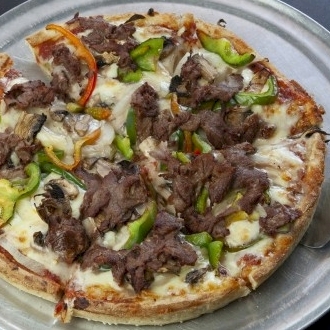 Onions, green peppers, mushrooms & steak. 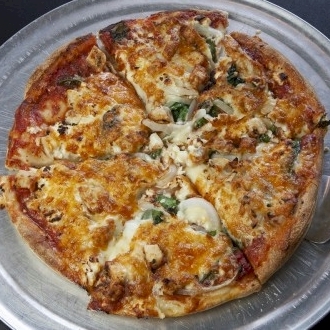 Sauce, spinach, grilled chicken breast, feta cheese, mozzarella cheese & onions. 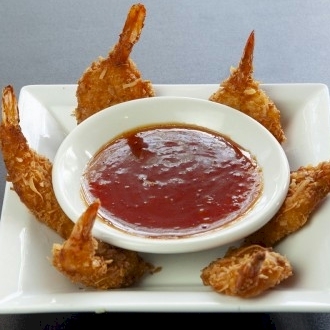 Crispy fried large wings tossed with your choice of sauce: Mild, Medium, Hot, Garlic, Teriyaki, Asian Sticky or Chipotle BBQ. 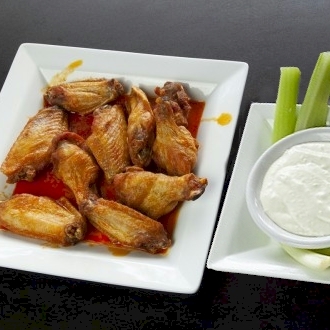 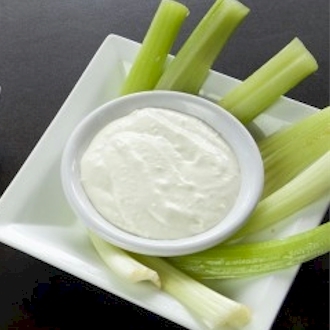 Served with Blue Cheese Dressing and Celery. 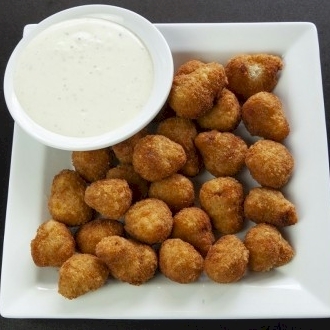 Extra side of ranch, blue cheese, or buffalo sauce. 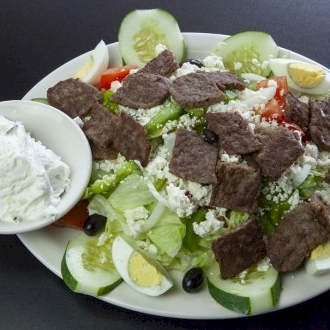 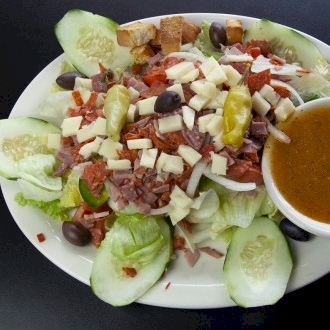 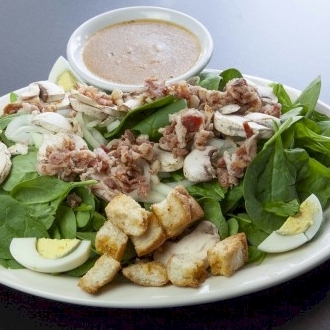 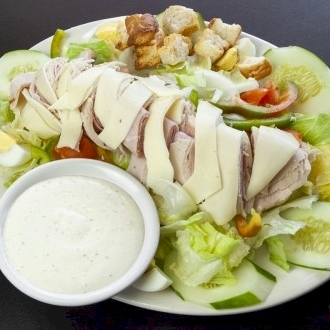 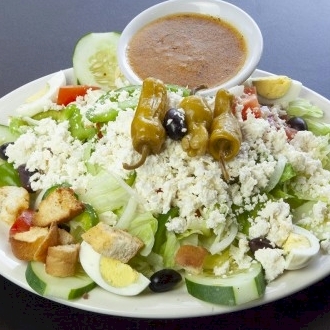 Mixed lettuce, onions, peppers, cucumbers, vine-ripe tomatoes, provolone cheese, ham, turkey, hard boiled eggs & your choice of dressing. 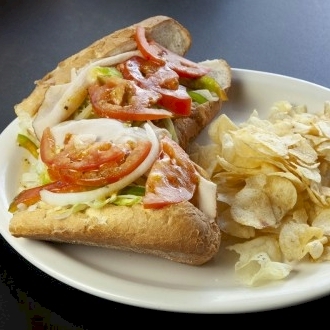 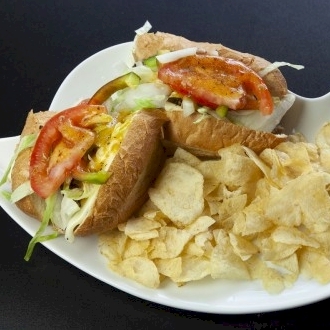 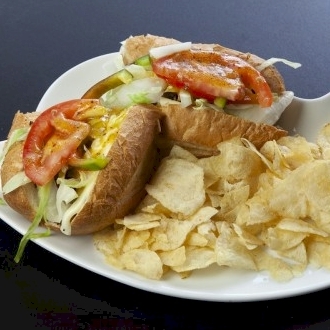 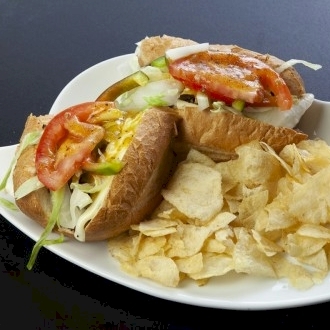 Choose small or large sub. 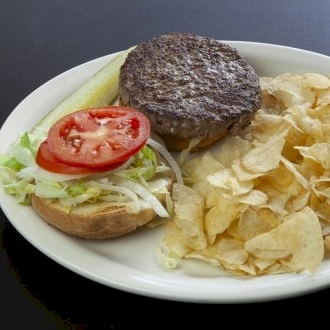 Includes bag of potato chips. 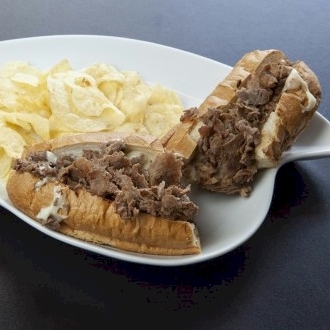 Grilled shaved rib eye steak with melted white american cheese on a toasted sub roll. 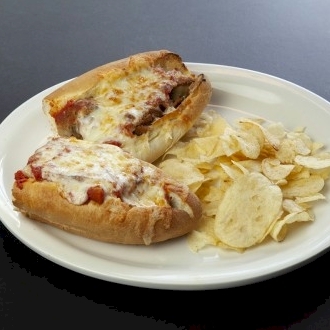 Grilled shaved rib eye steak with onions, green peppers and mushrooms with melted cheese served on a toasted sub roll. 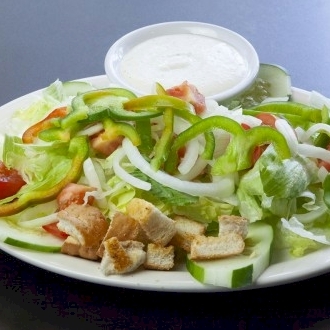 With lettuce, tomato, onion & green peppers. 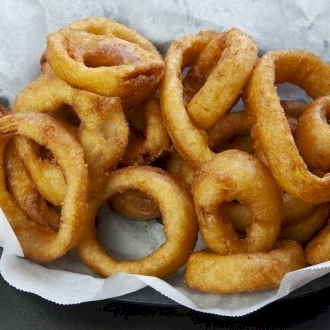 With fried onion, green peppers & sauce. 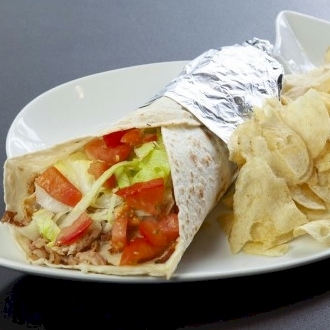 Sliced Turkey breast with crumbled bacon, lettuce and tomato wrapped in a warm flour tortilla. 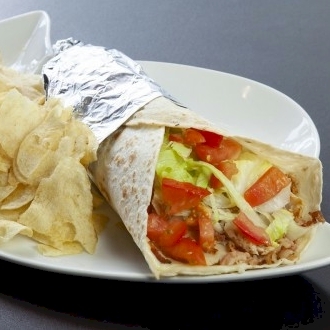 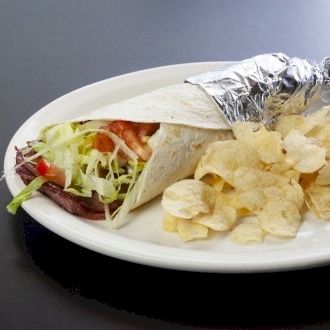 Sliced Domestic Ham with crumbled bacon, lettuce and tomato wrapped in a warm flour tortilla. 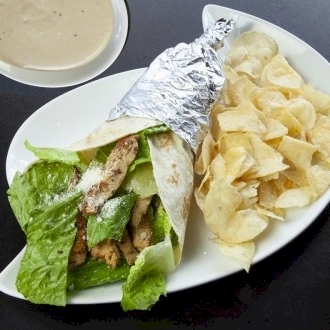 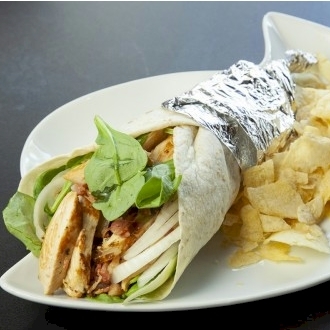 Grilled chicken breast strips with mushrooms and onions wrapped in a warm flour tortilla. 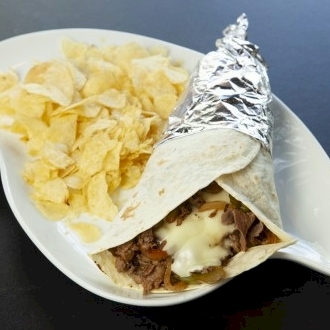 Shaved thin rib-eye steak grilled with onions, green peppers, mushrooms and white american cheese wrapped in a warm flour tortilla. 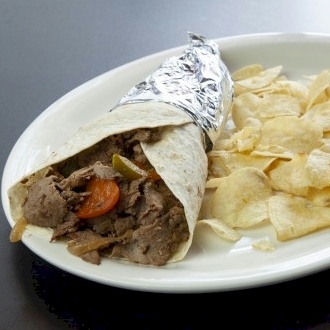 Grilled strips of steak with onions and peppers wrapped in a warm flour tortilla served with sour cream. 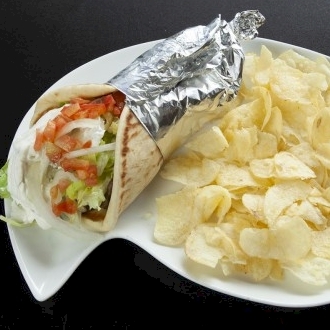 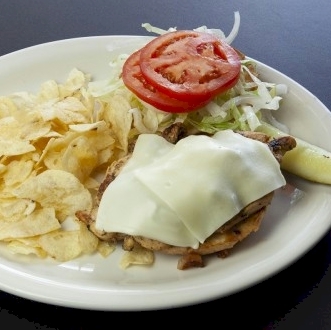 Grilled strips of chicken breast with onions and peppers wrapped in a warm flour tortilla served with sour cream. 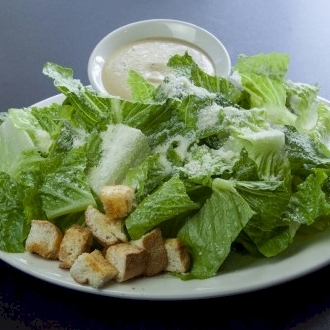 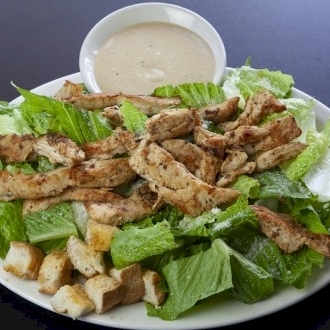 with fresh romaine lettuce, parmesan cheese, grilled chicken & Caesar dressing. 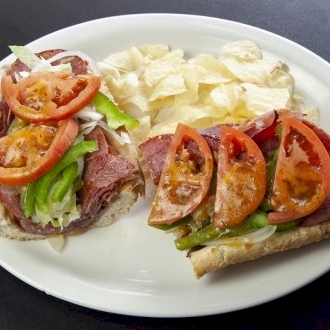 With ham, salami, capicola, provolone cheese, lettuce, tomatoes, vinegar & oil. 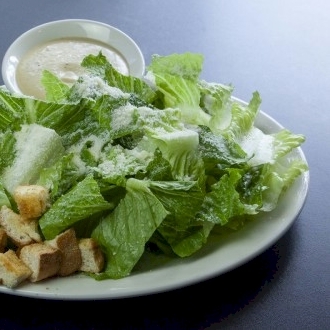 With lettuce, tomato, shredded cheese & ranch dressing. 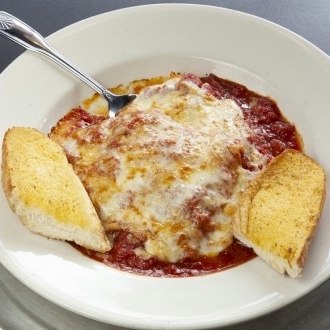 Layers of noodles with beef, mozzarella cheese, parmesan and marinara sauce. 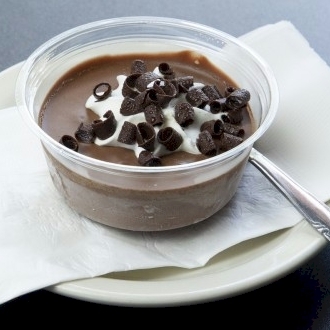 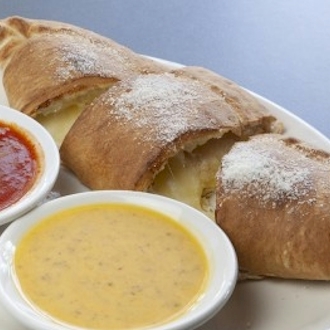 Baked to perfection and served with garlic bread on the side. 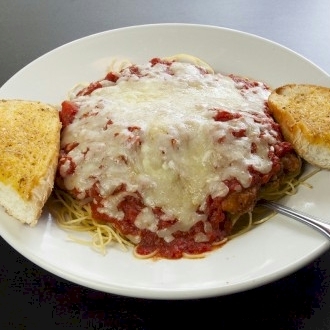 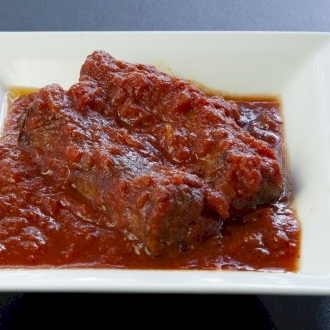 Lightly breaded and fried veal on a bed of thin spaghetti topped with our homemade marinara. 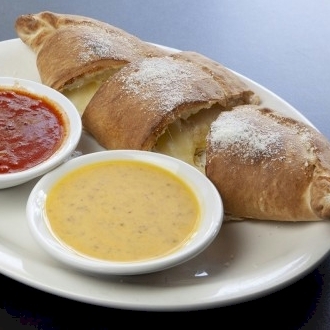 Served with garlic bread on the side. 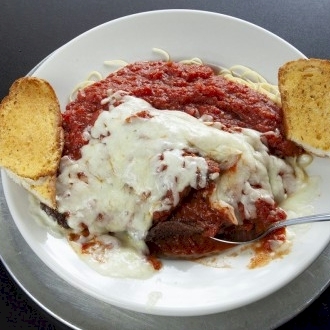 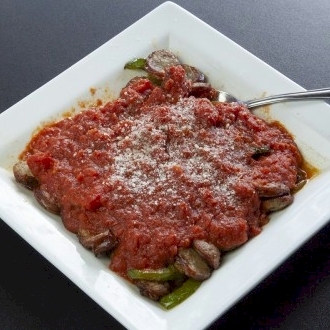 Lightly breaded and fried sliced eggplant on a bed of thin spaghetti topped with our homemade marinara. 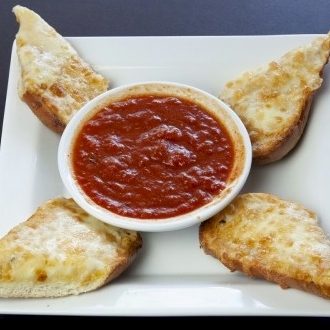 Served with garlic bread on the side. 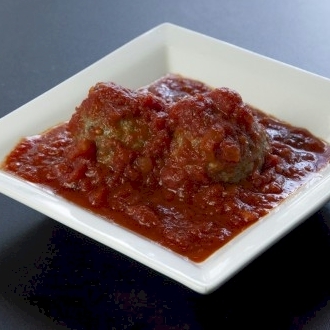 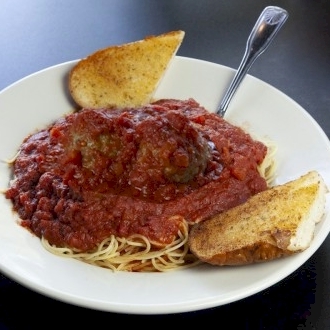 Thin spaghetti topped with our homemade marinara sauce and meatballs. 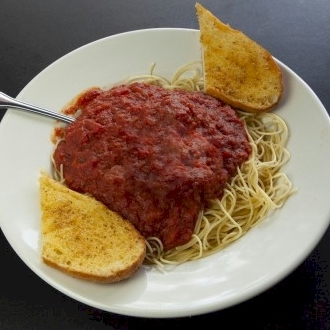 Served with garlic bread on the side. 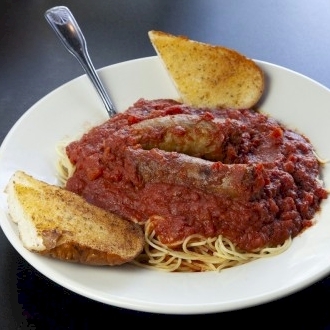 Thin spaghetti topped with our homemade marinara sauce and sweet Italian sausage. 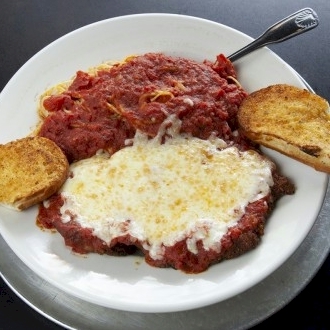 Served with garlic bread on the side. 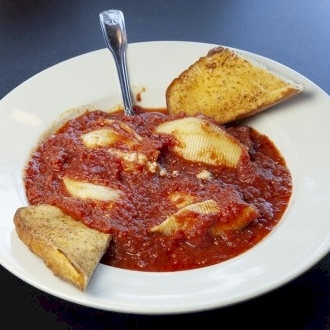 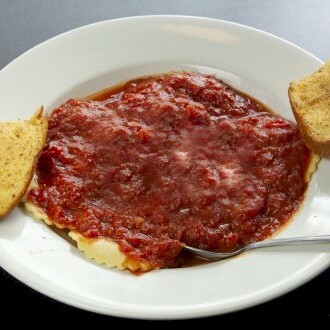 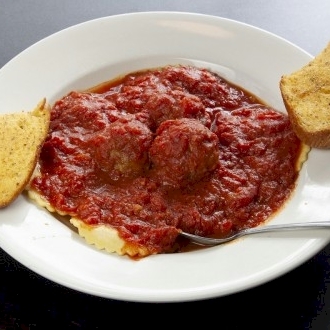 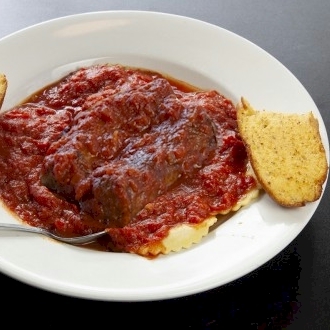 Cheese stuffed ravioli topped with our homemade marinara and served with garlic bread on the side. 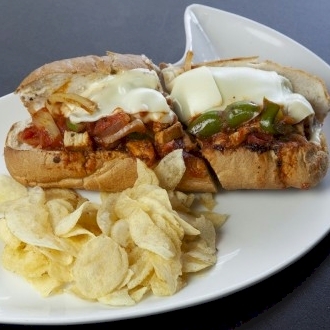 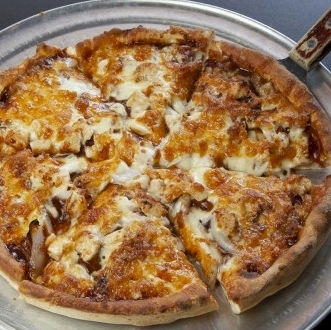 10" flour tortilla, onions, tomatoes, jalapenos, cheese & grilled chicken. 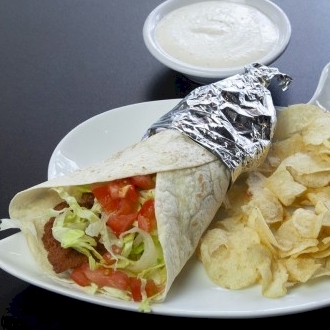 Served with salsa and sour cream. 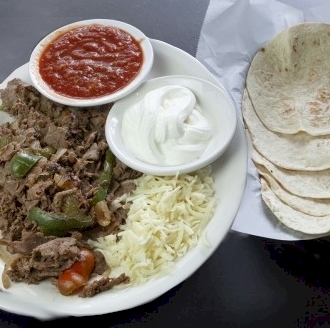 10" flour tortilla, onions, tomatoes, jalapenos, cheese & steak. 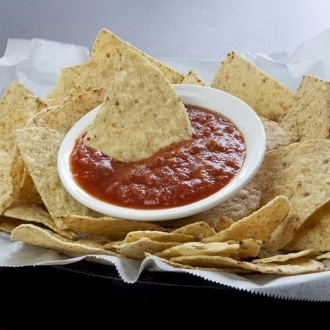 Served with salsa and sour cream. 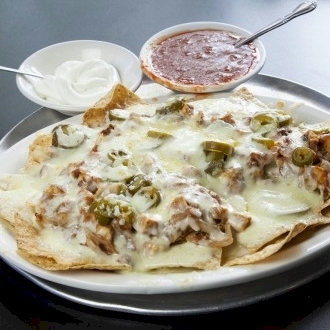 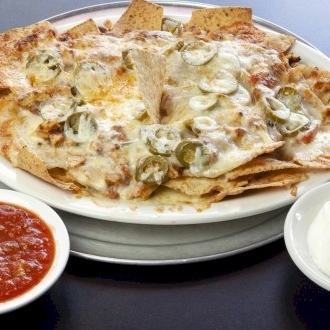 Corn tortilla chips topped with salsa & sour Cream, onions, tomatoes, jalapenos, cheese & refried beans. 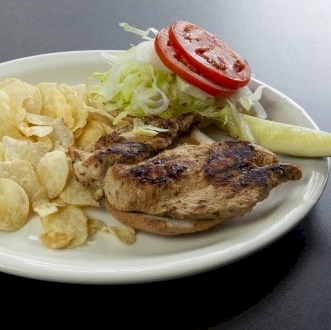 Seasoned strips on chicken breast, onions and green peppers. 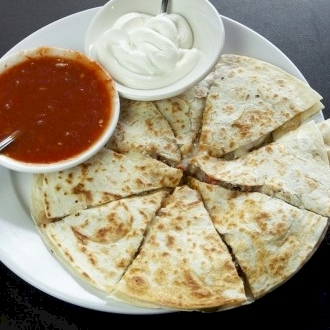 Served with warm flour tortillas, salsa, sour cream & cheddar cheese. 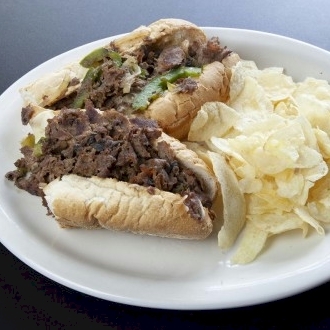 Grilled steak, onions and green peppers. 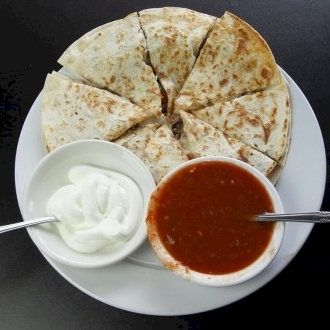 Served with warm flour tortillas, salsa, sour cream and cheese. 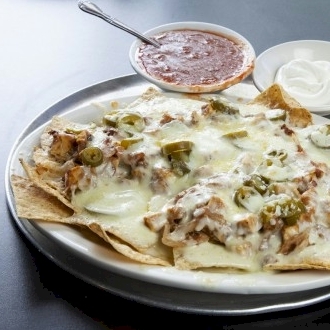 Seasoned strips of chicken breast topped with cheese, lettuce and tomato in a corn totilla, with salsa and sour cream. 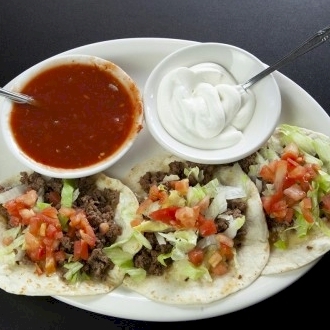 Seasoned ground beef topped with cheese, lettuce and tomato in a corn tortilla, with sour cream and salsa. 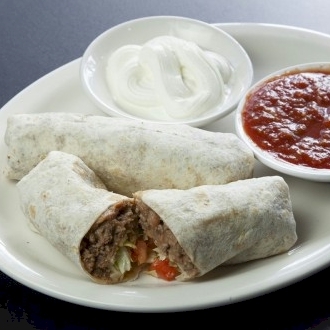 10" flour tortilla with seasoned ground beef, refried beans, cheese, lettuce and tomatoes, served with salsa & sour cream. 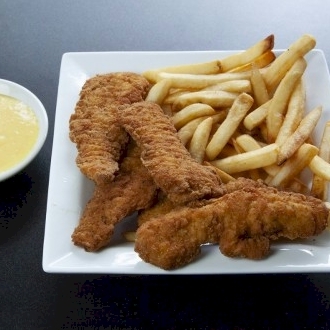 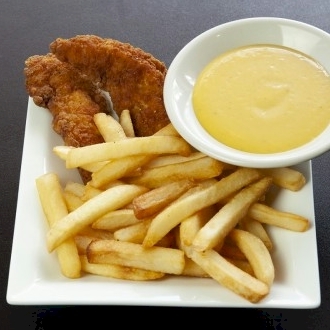 Kid size chicken tender and fries dinner with honey mustard on the side. 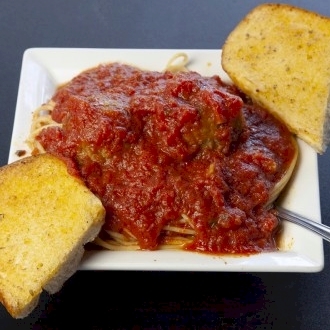 Kid size spaghetti and meatball with marinara sauce and garlic bread. 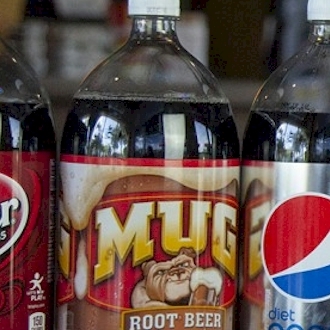 Pepsi may be substituted depending on availability. 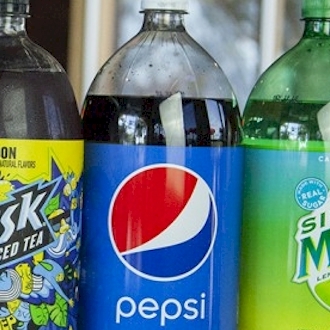 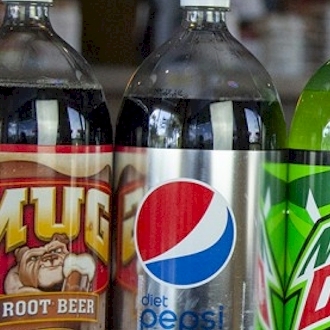 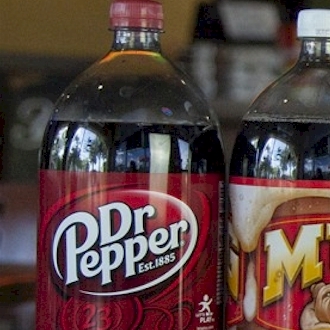 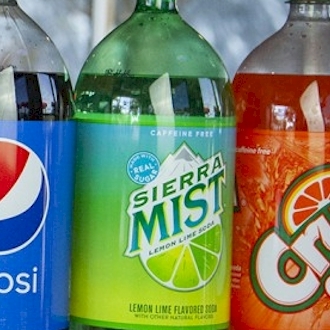 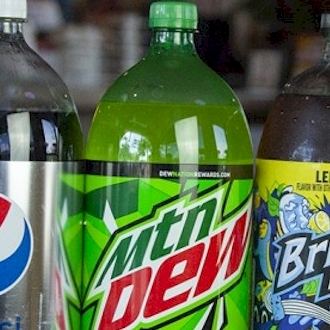 Diet Pepsi may be substituted depending on availability. 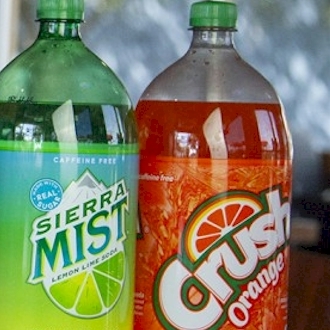 Sierra Mist may be substituted depending on availability.